Seigo Dakgalbi has been around for two years now as a locally developed Korean cuisine restaurant specializing with its dak galbi, but it is still relatively unheard of if compared to the rest of competition in other parts of Jakarta. Even so, Seigo Dakgalbi was known to me as a serious restaurant that literally invested its capital to send its crews to research the authentic recipes and flavors directly to South Korea. Those facts and a visit quite long ago there introduced me to this stir-fried dish for the first time. 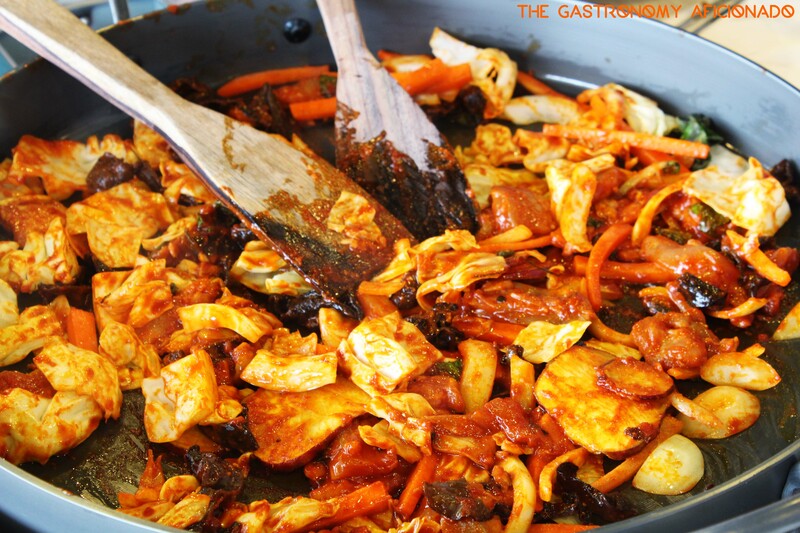 Dak galbi was a daringly spicy dish thanks to the gochujang sauce there but it worked really with a bowl of rice on one of my hands. Following the authentic recipe, Seigo Dakgalbi’s dak galbi (well, that’s funny) was equipped with chicken and various kind of vegetables. It’s basically an indulging dish to enjoy during cold days. Imagine having it sidekicked with the warm samgyetang.